A new tech tool each Tuesday! I've noticed that many teachers in my district are still giving the material to the students through the traditional teacher-centered lecture/powerpoint based instruction. I wanted to try something that made the students accountable while you were presenting and had the ability to check their understanding through formative assessment. In my searching I found Pear Deck and boy did I fall in love. I recently tried Pear Deck with my students and was amazed and their engagement and participation. Pear Deck is like a traditional powerpoint except it can be shared on students computers or devices and has interactive questions, quizzes, and ways to promote social interaction in the classroom and check student knowledge. Then you can chart what they know or read it in class. I found once my students realized this they became much more attentive. With this free software is the ability to upload your already created powerpoints and make them interactive. I suggest trying this out and let me know what you think! Quizlet Live- Tried and Loved! I tried Quizlet Live today to review the terms from the first unit in Excel. Let me say I was pleasantly surprised at the excitement and participation from the students. It was loud, but it was chatter only about the topic of excel. I felt quite giddy that they were yelling terms out like, "spreadsheet", "name box" , "cell". There was lots of encouragement from eachother to pick the right answer since they would fall back in the scoreboard if they missed. A couple students asked if we can do this everyday. My response, "Of course we can't but we certaintly can for review!" My review on Quizlet is that its simple to set up, fun and engaging, and truley a win in my book.I really liked that out of the 3 in each group they had different answers on their computers and had to decide which student had the right answer. The only issue we had was I have desktop computers so you can't sit by your assigned group. But I actually liked it that they were having to find a way to communicate with each other from a distance. Most of the students got up and moved around or spoke with eachother to narrow down their choice. So don't take my word for it, try it! See the video I took in class today! Speller--Type what you hear in this audio-powered study mode. I think quite a few of the teachers at BHHS are currently using Quizlet in their classroom or have shown the students how to get the APP on their phones so they can make their own terms to study. Well, Quizlet has something new that is outstanding! Its called LIVE, an in-class, team-based learning game based on any Quizlet study set. Students are randomly paired into teams of 3-4 students to race against other teams. Each team must work together to clear their board, and the first team to do so wins. Students work together in randomized teams of 3-4, on tablets or computers. Teams race to match all the terms and definitions but wrong answers reset progress to zero. The first team to match all 12 terms correctly in a row wins. At the end of a game, see what terms students get right and wrong. To get started you’ll need:Here's what you'll need to run a successful game. 4) You’ll see a “Live” button on the right side of the page with a “beta” label. Click it! 5) On this screen, click "Create game." Where have I been, busy I guess...Book Trailers and your students and writing with Inklewriter. I have been on a kick lately incorporating some writing in my computer courses. My web design students are creating a 20 page website about an interactive adventure story with multiple endings. Google "Create your own adventure story" if you don't know what I'm getting at. I fell upon Inklewriter, which has been around for a few years, and fell in love. Here is the concept from the website "The inklewriter lets you write as you play, branching the story with choices, and then linking those branches back together again. It keeps track of which paths you’ve finished, and which still need to be written. There’s no set-up, no programming, no drawing diagrams – so there’s nothing between you and the empty page. Oh, and it’s free to use. And once written, you can share your stories with whomever you like." Writing, they have to write a script, storyboard, YES! If you are interested in having your students create a movie production, trailer, book trailer, or PSA, I would be happy to help! You can also feel free to use my materials on this webpage. A few of you have been interested in using google drive for quizzes and utilizing the self-grade through flubaroo add-on extension. I found some great information from Richard Byrne, a teacher that was presenting at my conference I attended in June. You can find instructions HERE. If your looking for some geography resources to use this week in your classes, I've listed some sources that you can add to your lessons. Smarty Pins is a Google Maps game develop by Google. Smarty Pins presents players with a trivia question that they have to answer by placing a pin on a map. Players earn "miles" for correctly placing a pin on the map. 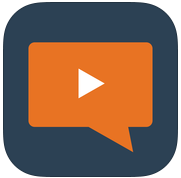 Zaption is a tool for creating video-based quizzes. Unlike some services like TED-Ed that have students watch a video then answer questions at the end, Zaption allows you to display questions for students to answer as they watch a video. To create a quiz on Zaption you start by creating a "tour" in your account. A tour is a combination of videos, images, and text arranged into a sequence. View an overview from Jennifer Carey wrote a great overview of using Zaption in the classroom. IF you need help, don't hesitate to ask, and be sure to look at the zaption free gallery to find some zaptions already created in your content area.